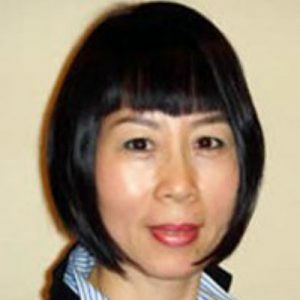 While Ms. Zhou-Chan was pursuing her Master Degree in Economics in 1986, she discovered her interest in real estate. In 1992, she found her niche in industrial brokerage and has kept this passion ever since. She started her focus in Flushing, Queens, where she is known as the area specialist. Soon thereafter she expanded her business into western Queens and Brooklyn. In fact, she was the first Asian female industrial broker who explored the Brooklyn market in the early 1990s. Ms. Zhou-Chan is fluent in English and Chinese (Cantonese and Mandarin) which provided her with a competitive advantage to be able to assist not only local customers, but also a broad spectrum of Chinese immigrants and overseas international businessmen alike, requiring commercial real estate services. Throughout the years, she has helped hundreds and thousands of customers to fulfill their requirements. She also has developed strong relationships and ties with many properties owners and developers allowing her to procure deals before they even hit the market. Her motivation, dedication, persistency and professionalism in business have earned great trust and respect from her customers and clients, domestic or abroad. With over 20 years of experience, Ms. Zhou-Chan has expanded her horizon into investment acquisition, property development & conversion as well as property management. As a partner of Harvest International, she has played a crucial role in growing the company from training new agents, overseeing operation, providing strategies to company’s growing direction to maintaining relationships with customers and clients and closing transactions. Ms. Zhou-Chan graduated from Queens College with a Master degree in Economics. She is a member of the Commercial-Industrial Brokers Society of Long Island and the Central Lions Club of Flushing, and is also a sponsor and committee member of the Greater NY Chinese Community Dollars for Scholars. Leased a 100,000 sf warehouse space at Bush Terminal located in Sunset Park, Brooklyn, NY. Daphne represented both the landlord and tenant in this transaction. Daphne is a member of the International Council of Shopping Centers and is a CoStar Powerbroker.